God has blessed our family with the gift of nineteen children--fourteen living and five in heaven. We have twelve daughters and two sons living, ranging in age from twenty three to three. 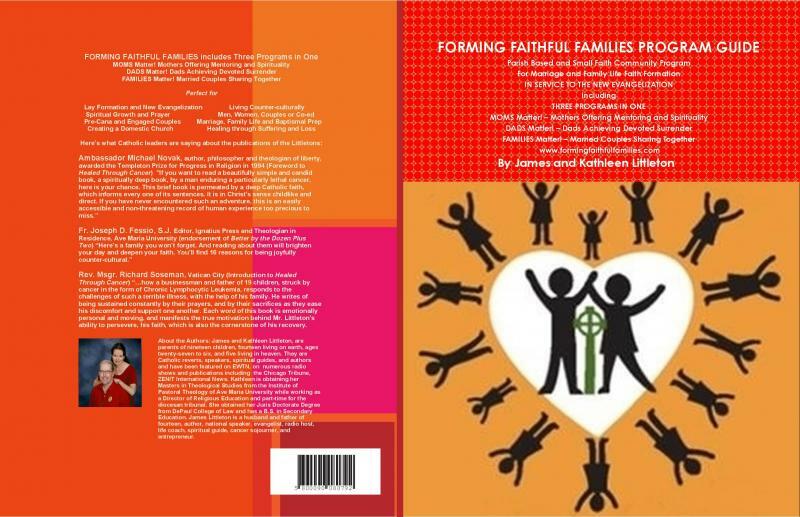 This book shares the story of how we came to be such a large family and the truths God taught us along the way. We are parents in the process of raising fourteen living children. Our book unmasks many of the fundamental errors of our time, offering a concrete hierarchy of values or priorities to live by in the midst of a seriously disordered modern dominant culture. 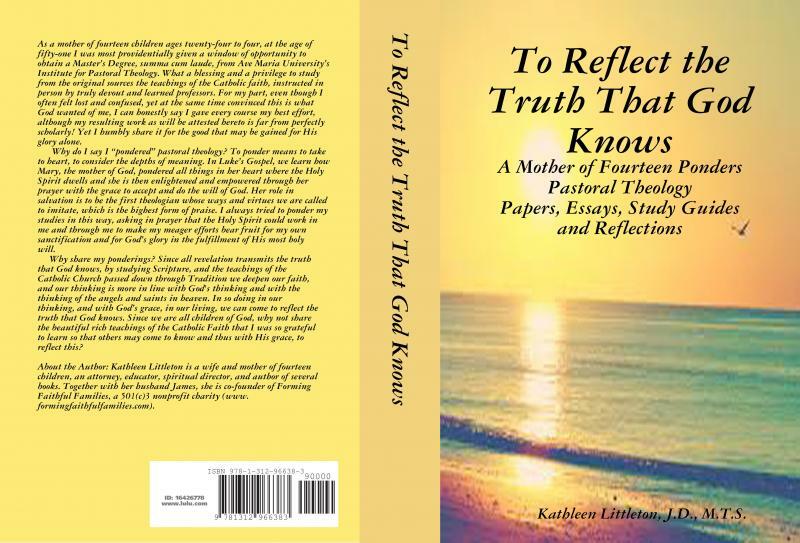 We hope it is an interesting read for anyone and everyone designed to move the reader to serious reflection on the state of his or her life, and to hopefully come away with some helpful resolutions of a spiritual and/or practical nature. 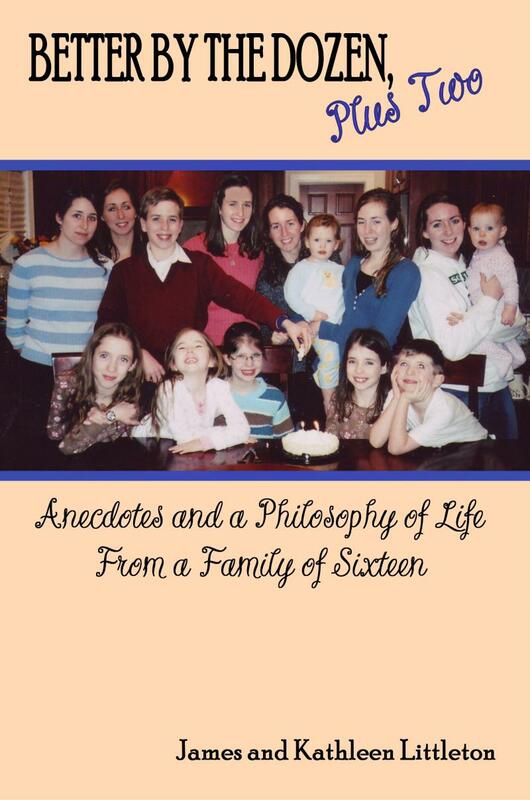 BETTER BY THE DOZEN, PLUS TWO includes anecdotes and a philosophy of life from a family of sixteen providing insights into the meaning and purpose of life, with the goal of helping the reader to achieve true happiness and fulfillment. 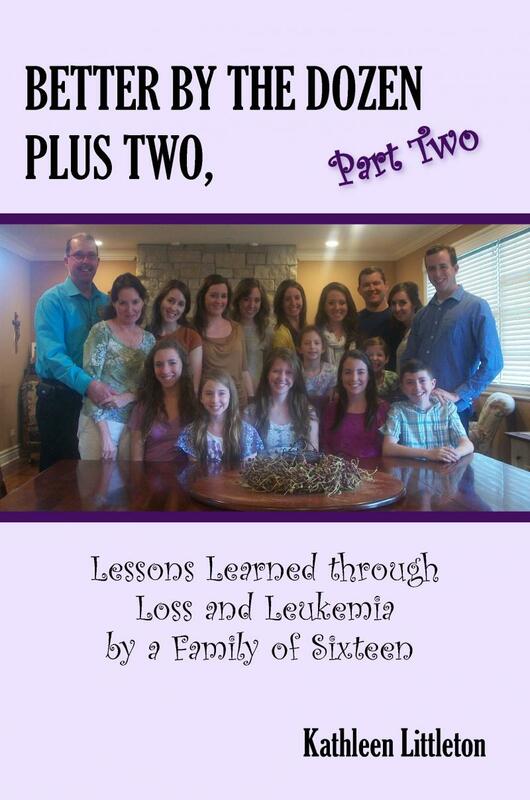 Better By The Dozen Plus Two, Part Two subtitled Lessons Learned through Loss and Leukemia by a Family of Sixteen is the sequel to Better By The Dozen Plus Two subtitled Anecdotes and a Philosophy of Life by a Family of Sixteen (2007). The story relates how a large family stays strong, hopeful and faith-filled while learning the lessons of life through the challenges of foreclosure, death, loss, and leukemia through surrender and reliance on God and His love manifested through the love of others. 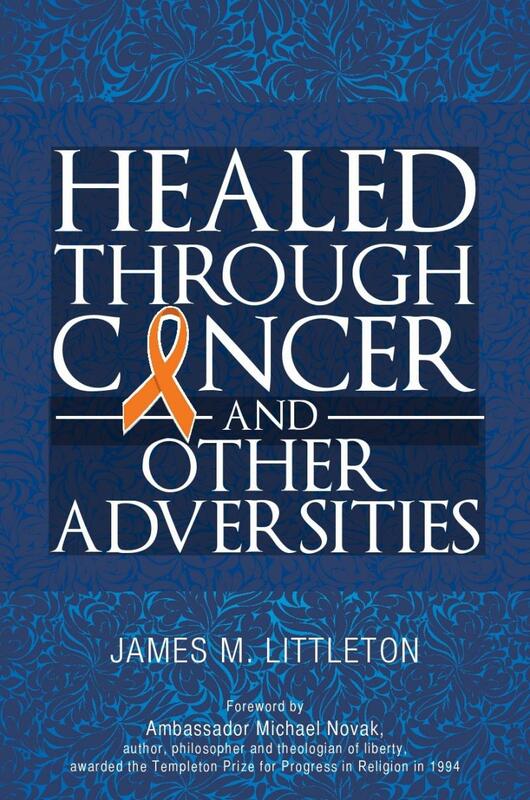 Faced with chronic lymphocytic leukemia, James Littleton came to more profoundly cherish what matters most: his relationship with God and his family. Through numerous courses of chemotherapy and an eventual bone marrow stem-cell transplant, James was able to share his strong faith in God with others undergoing difficult times. Healed through Cancer and Other Adversities highlights the principles this father of nineteen relied on. In addition to his health challenges and successes, James found many forms of healing that come through trials. Find consolation, encouragement, and helpful insights for your own struggles. The truths in Healed through Cancer and Other Adversities offer inspiration and faith-building reminders of the God who offers so much that we may truly live. Seize hope to overcome your own difficulties in this uplifting account of one man’s fascinating, self-reflective, and inspirational journey with cancer.